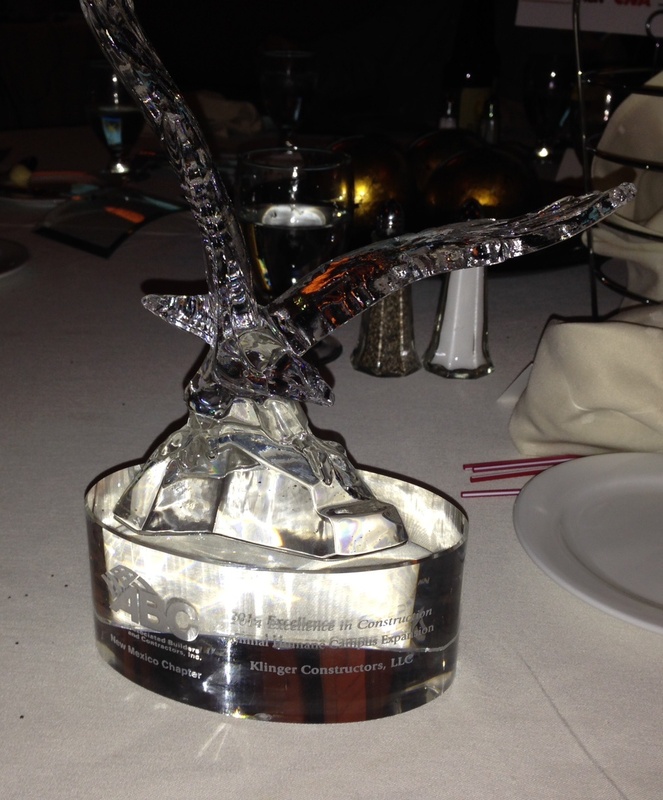 Congratulations to Animal Humane New Mexico and Klinger Construction on receiving the New Mexico Associated Builders and Contractors, Inc. 2014 Eagle Award for Excellence in Construction for a commercial renovation under $8 million. The award was presented to Peggy Weigle, Executive Director of Animal Humane NM, at the annual awards dinner this past weekend. We loved working with you on your award winning project! This entry was posted in Animal Rescue, Animal Shelters, Animals, Architecture, Cats and Dogs, Happenings, National News, Projects and tagged adoption, animal arts, Animal Rescue, animal shelter, animals, architecture, cats and dogs, news. Bookmark the permalink.